The Rosarito Beach Open is around the corner and you don't want to miss on this great surf contest south of the border. The event will take place right in front of Papas and Beer in Rosarito and is open for all surfers and body boarders. With a $2,000 prize purse, go down to compete or enjoy the great action. 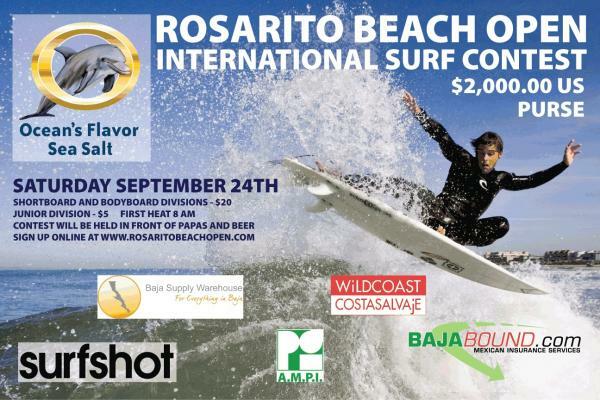 For more information and to sign up for the contest online, visit the Rosarito Beach Open Website. This entry was posted in Surf Contests, Surf News at Rosarito Pier. Bookmark the permalink.